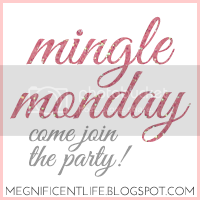 I am thrilled to be joining up with Mingle Monday for the first time. It’s been a very relaxing weekend for my husband and I, which is odd for us in December. We got the nerve to run errands Friday night in the middle of all of the holiday shopping, and went to see The Gospel of Scrooge at out church Saturday night, and then church on Sunday along with working on business jewelry and burlap decor. What is my favorite holiday tradition? This is a tough one for me, because we are still establishing our traditions as a married couple. We don’t seem to be in the same place every year. Last year we stayed in Birmingham, and family visited us; however, this year we will be going back south to spend time with our family. I think that one of our new holiday traditions that we started this year and we will do as long as we live in Birmingham is going to see The Gospel of Scrooge at our church. It was absolutely fantastic.